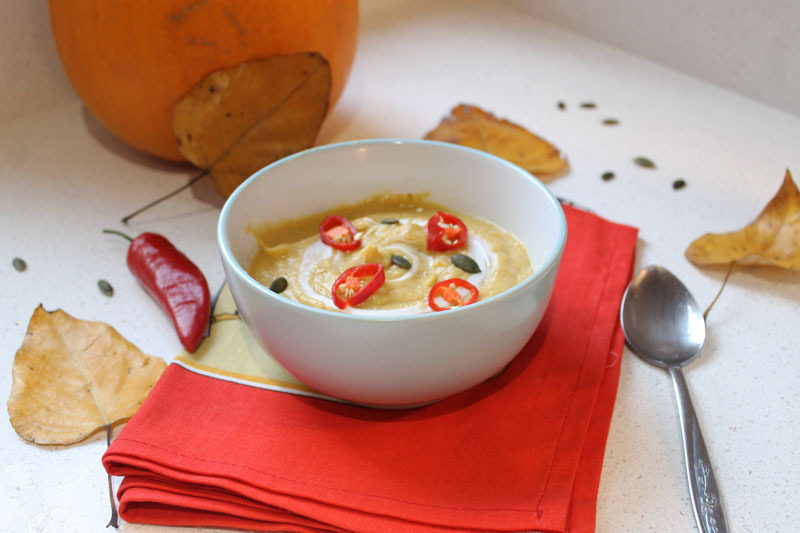 For years now I’ve been experimenting with pumpkin soups as a way to use up all that leftover pumpkin after Halloween but I’ve always been decidedly unsatisfied with the result. I find that – like butternut squash – pumpkin is such a sweet vegetable and the slight sweetness it brings is a flavour I’m not a fan of. This Autumn however, I’ve been eating a lot of lentils so I decided to add them to the mix and boy am I on to a winner. They balance out the sweetness of the pumpkin brilliantly and offer a filling hit of protein and fibre. I also added some cumin and chilli which also balances out the sweetness and adds a warming kick which is essential to take away the wintery chill. 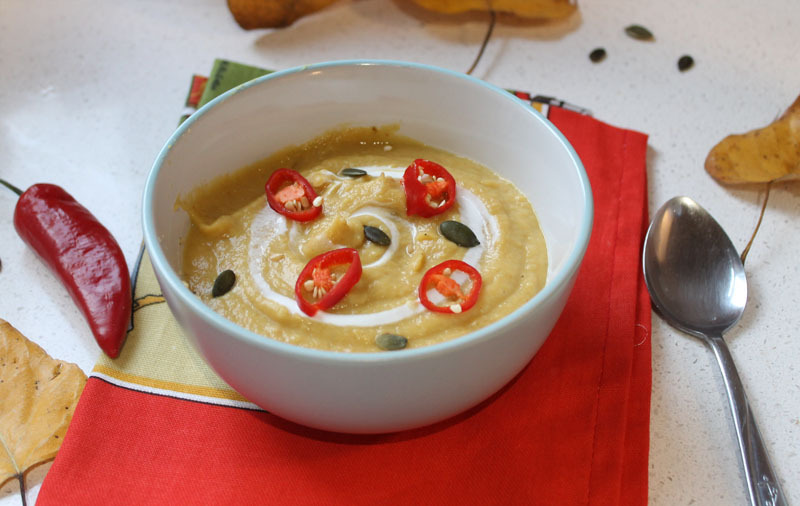 I’ve used leftover pumpkin in this recipe that I pre-roasted but puree can be used or alternatively just peel (it’s difficult) and chop up a fresh pumpkin into small equal chunks and add them to the soup. This recipe is also completely vegan (omitting the yoghurt garnish) and gluten free so is a perfect to serve to your guests as a winter warmer! Slice the onion and soften in a pan with a little oil. Once the onions are softened, slice the garlic roughly and add to the pan cooking for about a minute. Add the pumpkin, lentils, vegetable stock cube and enough water to cover. Add the cumin and chilli flakes then season with salt and pepper.